A fast-paced, relay-race team sport. 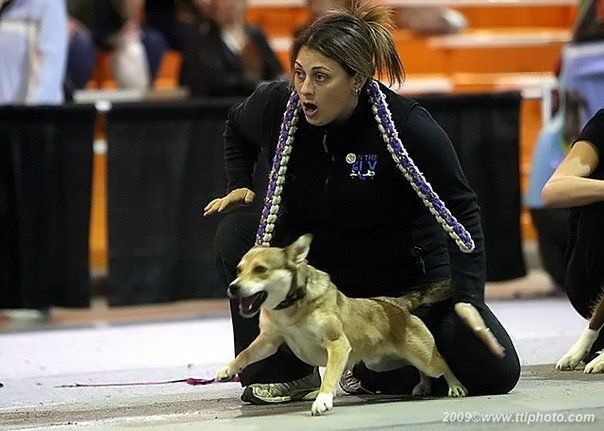 A flyball course consists of four jumps spaced 10 feet apart. The dog races down the course, picks up a ball and races back. Two teams race simultaneously and the team with their fourth dog back first is the winner. This is a high-energy, very loud event. I don’t know what is louder — the dogs barking excitedly or the teams cheering on their dogs. It’s soooooo much fun. Please call 905-623-3940 or email info@k9central.ca for more information.